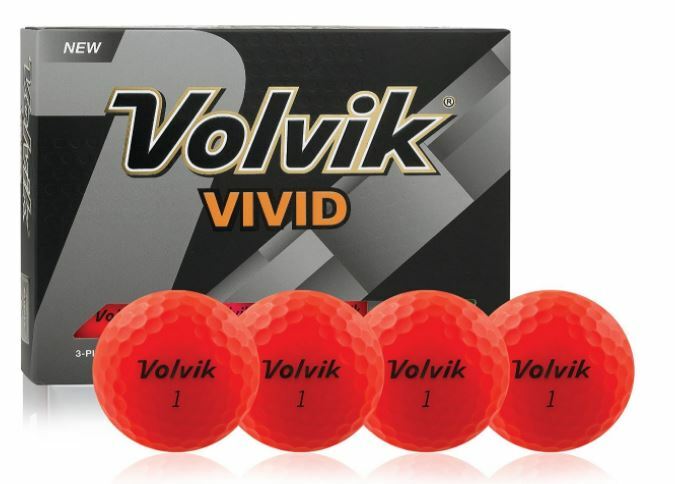 Volvik bills the Vivid as the world’s first matte finish golf ball. I have a sleeve of these, and there is no way to capture in a photograph just how shockingly bright they are. It is as though they are infused with some sort of cosmic radiation. The matte finish is truly something you need to see to believe. The Vivid is a 3-piece, 80 compression ball designed for slow-to-medium swing speeds. Volvik says that players with speeds in the 70 – 90 mph swing speed range will produce mid to high spin rates and trajectory. “It is as though they are infused with some sort of cosmic radiation” So true!! !